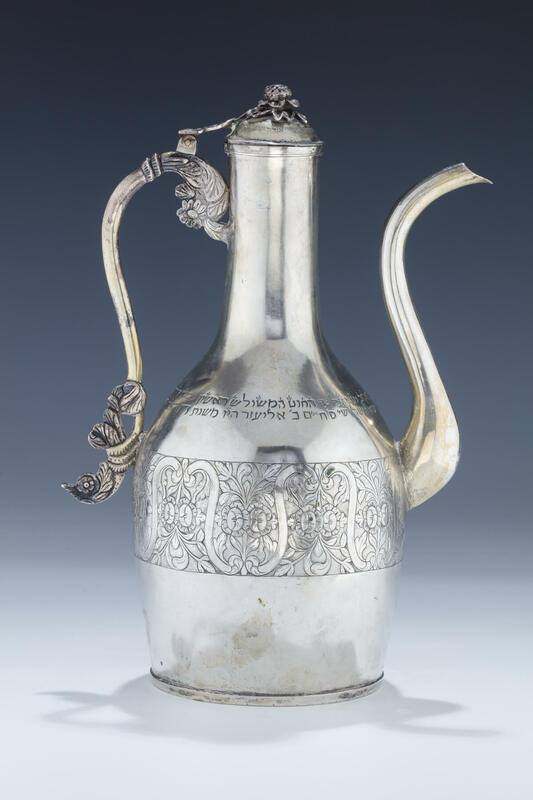 A RARE AND IMPORTANT SILVER DECANTER FROM A BENEFICIAL SOCIETY. Probably Balkan, 19th century. Main section engraved with bright cut design engraving. 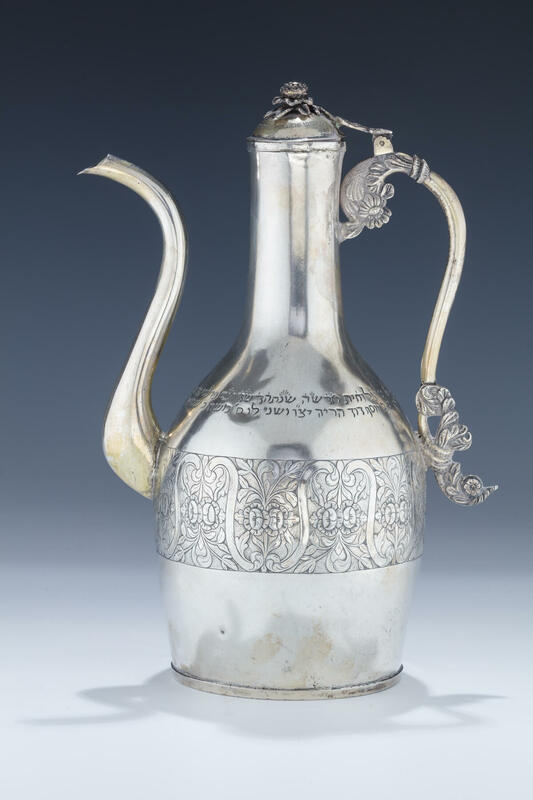 Main section and cap engraved with lengthy Hebrew inscription revealing donor information. 12.6” tall.